Vaping is a modern trend, but even new vapes have their roots in ancient history. Ancient Egypt is known for its vaping techniques, such as using hot stones to vape herbs. Thousands of years ago the first shisha was introduced to India. All those techniques led to the invention of current vapes as we know them today. Who invented the contemporary e-cigarette? The modern history of vaping has its origins in ancient times. The first who came up with the idea of an e-cigarette is Joseph Robinson in 1927. 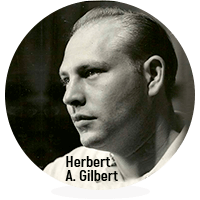 However, it was in 1963 when Herbert Gilbert and his “smokeless non-tobacco cigarette” made vaping popular. The Chinese firm Hon Lik made the first modern e-cig in the mid-2000s. One of the most popular, socially tolerable and favorite drugs of people is nicotine. As such, people have tried different ways to consume it. They tried to smoke it, to vape it, to chew it, or apply it on their skin. It shouldn’t surprise you to hear about people who try to inject nicotine no matters how deadly that could be. You can find nicotine in tobacco. And often they mix and consume tobacco with other substances like marijuana while drinking alcohol. Many devices have been invented to satisfy people’s obsession with nicotine: hookahs, bongs, etc. However, we live in a tech society. That’s why recently, vaporizers have become a cool trend with their variety of tastes and forms. If oriental smoking devices were cool years ago, now it’s all about the e-fashion. When did the trend of e-cigs, electronic pipes, e-liquids start? Unknown to many, in 1927 Joseph Robinson came up with the idea of an electronic cigarette. However, it’s another name we relate to vaping. It was Herbert A. Gilbert who in 1963, historical data says, came with the idea of vaping. And in 1965 he patented this invention. Could it have changed history and saved lives? Well, we can’t tell because, unfortunately, nobody knew of his “smokeless non-tobacco cigarette” back then. There are few essential elements of vaporizers you should be familiar with when choosing your vape. The battery is the main component that also gives the name of all the vaporizers we know, “e” for electronic. You can activate it by pressing a button (manually) or by inhaling (automatically). There’s a LED in it that shows you when the battery is on. Note that there are some cases of vape explosions. Therefore, familiarize yourself with the ways of proper use and maintenance. Last but not least, there are different charges available on the market. They attached the atomizers to the battery. They vaporize the liquid that’s in your vape. It does so by heating it up. When it is hot enough, the device creates vapor and this way it sends you the nicotine hit. It is one of the primary reasons people vape. The atomizer works with a coil the battery powers this. Just to say that the atomizer (when there’s no clearomizer or cartomizer) goes through a “dripping” process. This gives you the chance to feel the pure taste of the flavor you’ve chosen. This is the result of, as the name suggests, the liquid from the tank dripping directly on the atomizer. The good thing is that atomizers have a simple design. However, one of the cons of atomizers is that you need to refill them too often. Sometimes there are other components between the atomizer and the tank. But let’s focus briefly on the difference between atomizers, clearomizers, and cartomizers. Cartomizers connect directly to the battery and heat the e-juice of your choice. It does this till it reaches the perfect temperature that creates vapor, just like an atomizer. In addition, there’s polyfill around the heating coil in them that allows a longer time of vaping. This is the main advantage when compared to atomizers. Clearomizers are great if it’s your first time. They are the newest on the market and give you the chance to control what you vape. It’s great because you can see the amount of liquid in the tank as they are transparent. Some of their advantages are that they have a longer life-cycle. Furthermore, their wick structure offers a better flavor experience. However, not surprisingly, they are more expensive. These are the containers that hold your nicotine liquid (unless you choose a nicotine-free option). Remember that pure nicotine can be lethal. That’s why always keep your vaporizers away from kids and pets. The e-juice, or e-liquid, comes in different tastes. Apart from nicotine and flavors, there’s propylene glycol (PG) and/or vegetable glycerin (VG). Both have their pros and cons. However, in case you want to avoid some common side effects like dry and sore mouth, better go for VG. The mouthpiece, in the end, is not the most complex of parts. It’s important because we use it to inhale. Vaping has a long history. Thanks to ancient practices we have the present vape gadgets we can find everywhere. They range from the local gas station to a prestige website. There are many variations of vaping, and we can even claim that vaping brings people together. You can use it with friends on a night out or chat about it with ex-smokers on online forums. Additionally, the different flavors on the market make vaping enjoyable. Also, rechargeable and refillable kits can save a lot of money in the long-term. On the other side, many studies reveal some negative side effects of vaping. They include dry mouth, dizziness and the accumulation of some toxic ingredients that can cause cancer. Also, the popularity of vaping raises the question if all this advertising doesn’t push minors into vaping and smoking. On the other side, aren’t songs and trends that promote promiscuity and aggression much worse than a harmless vape? Incidentally, many countries have already put some strict restrictions on vaping. Despite that, there’s still a long future ahead of vaping. Always familiarize yourself with the products you choose and be aware of the areas where you can vape. Vape in moderation and taste history! wow. I am doing an essay on this and I loved this it helped doo much thank you for writing it. Vaping is a very safe way of intaking nicotine. I am surprised at the lack of the mention of the safety tests and use in hospitals between the late 1970’s up until around 2009. There were extremely stringent tests performed to verify that what is exhaled from the vaporized flavored nicotine delivering liquid in hospital applications contains 0 parts per billion of nicotine, that is that the nicotine was completely absorbed by the user. Once this was confirmed, an earlier version of vaping was implemented in many hospitals to help keep smokers calm when patients in the hospitals. For this reason I disagree with the laws that are cropping up telling people where it is allowable to vape. 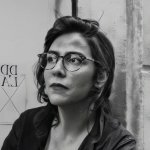 There is nothing exhaled that can adversely effect anyone from “second hand vape”, unless a natural flavoring used happens to be a severe allergy of someone present (though this is a concern for eating and drinking things that contain such things around said people as well, and we do not put such severe restrictions on these activities). Though we have to obey these laws none the less. Vaping is often seen as a safe or safer alternative to smoking. E-cigarettes are the best and simple way to quit smoking. 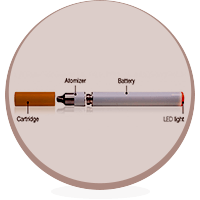 In e-cigarettes, you will get nicotine vapor controlling device that helps to regulate the vapor. We can enjoy differents flavors in e-cig.